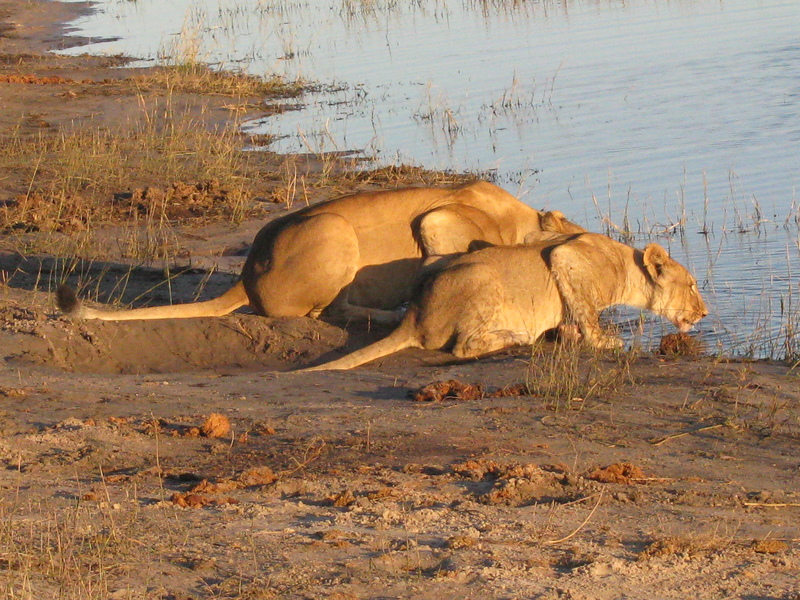 This week’s letter for Frizztext’s A-Z archive photo challenge is L. We saw these two lions in Chobe National Park in the early morning hours. We were also lucky to see them since we didn’t realize until the night before that our flight on the following day was much later in the day than we thought. Which left us enough time to go on one more safari in Chobe National Park. Then we spotted these wonderful animals. It really was a lucky day. This entry was posted in Africa, Travel, Travel Photos and tagged A-Z Archive, Botswana, Chobe National Park, Lions, Nature, Nature Photography, Photography, Photos, Travel, Travel Blog, Travel Journal, Travel Photo, Travel Photos, Wildlife, Wildlife Photography. Bookmark the permalink. 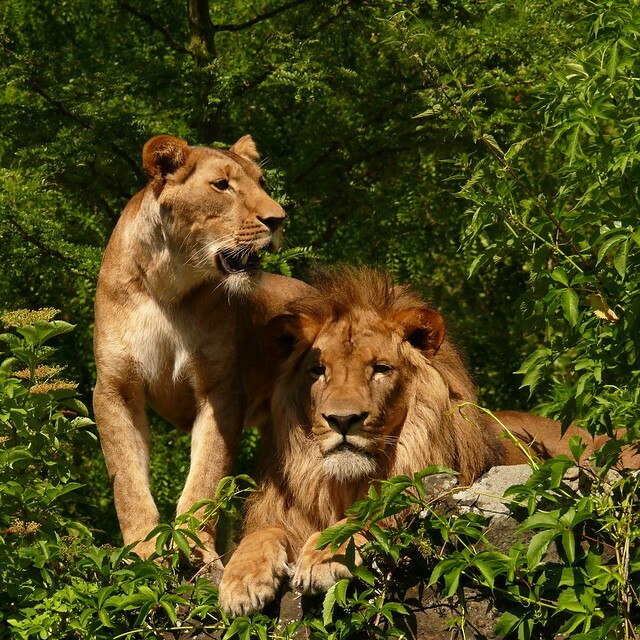 wonderful photo, it must be thrilling to see lions! It is amazing…I feel extremely fortunate. You might want to be careful swimming there…Lions, crocodiles…oh my! Yes they are…as long as they aren’t chasing me. Boy, talk about being on the prowl…. I really wouldn’t want to wander alone out there. Great shot! How fortunate to capture these two lions! Yes! It certainly woke me up since it was so early in the day. We had a marvelous guide who would get just as excited as us to see the animals. I loved his enthusiasm for his job. They look ready to pounce on some unsuspecting beast. I love the L’s!!! Thanks Lynn! Great shot! You must have been surprised to spot these two lions! It was so exciting to see them…and they looked so peaceful having their morning drink.